Just a few short weeks ago, HP's CEO Meg Whitman divulged the company's plans to re-enter the smartphone arena. "We have to ultimately offer a smartphone because in many countries of the world [the smartphone] would be your first computing device," Whitman said as she claimed smartphones are quickly becoming the new computers. Those with a financial interest in HP's plans were immediately intrigued by Whitman's proclamations, but she quickly dialed back the hype. Though HP will probably field a new entry in the smartphone market, the company won't have much to show for at least a few years. HP's last entry into the handset market, the HP Veer, wasn't exactly a home-run, but Whitman still has hopes webOS could rival Android and iOS. That said, Whitman doesn't expect HP to have a smartphone ready any time soon. "We don't have any plans to introduce a smartphone in 2013, but we've got to start thinking about what is our unique play," Whitman said during HP's financial analyst day Thursday. Whitman knows there's a growing consumer base out there HP is currently missing out on, and the time to capture a share is shrinking. "I believe that five years from now, if we don't have a smartphone or whatever the next generation of that device is, we'll be locked out of a huge segment of the population in many countries of the world," she continued. During her time with analysts, Whitman went on to discuss the rest of HP's future plans, including where the company stood in the tablet battle. Earlier this year, HP recruited ex-Nokia vice president Alberto Torres to head up its Mobility division. Despite not being in charge of the rumored Slate 8, Torres said his goal was to "accelerate [HP's] tablet strategy and begin to execute products." Even with those moves, Whitman told attendees she felt Apple fulfilled the consumer market for tablets quite well already. Still, HP will be among the first manufacturers offering a Windows 8 tablet, complete with an Intel x86 chip. Hopefully the tablet does well enough to help turn things around for HP financially, as the company's outlook for the year isn't as impressive as originally estimated. 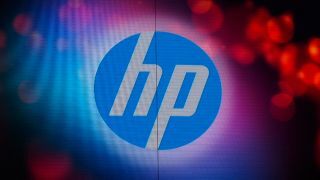 As a result, HP plans to cut a quarter of its PC platforms and 30 percent of its printer models over the next two years. What this means for the development of a smartphone and proprietary tablet remains to be seen, but we will be watching HP's progress in both markets very closely.